If you’re tired of ineffective results with shaving and waxing for removing unwanted hair, you may be a good candidate for laser treatment. At Horizons Health & Wellness in Bridgewater and Brockton, Massachusetts, the experienced providers offer fast, effective hair removal services using the noninvasive Icon™ Aesthetic System. To learn more about permanent hair removal, schedule a consultation by clicking the 'Book Online' button below, or by calling the office. Laser hair removal uses light technology to destroy the cells responsible for hair growth without damaging the surrounding skin. Following a series of laser treatments, new hair can no longer grow back. 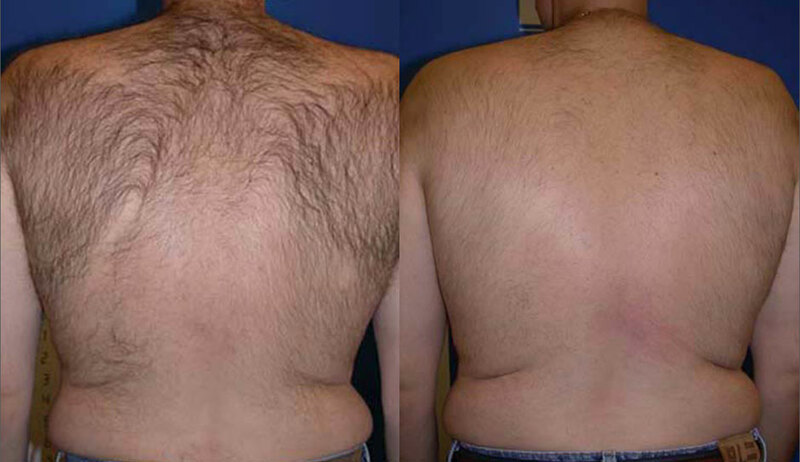 The providers at Horizons Health & Wellness can also use the Icon™ laser technology to reduce unwanted body hair on other areas of the body, including your back and arms, no matter what your skin type or how thick your hair grows. How does laser treatment differ from other hair removal methods? There are a number of products that temporarily remove hair, including shaving, depilatories, epilators, and waxing. These methods either cut off the hair above the skin’s surface or remove the hair from the follicle below the surface. However, unless you destroy the hair follicles, new hair always grows back. Your provider creates a customized treatment plan for effective hair removal based on your goals, and determines how many treatments you need. Typically, treatments are done every few weeks depending on several factors, including the anatomical treatment area, your skin type, and the hair thickness. To prepare for a laser hair removal treatment, you should avoid sun exposure to the treatment area for at least 4-6 weeks prior to your appointment. It’s best not to do any waxing or bleach treatments for several weeks before a laser treatment. During your session, a handheld device delivers laser technology to the treatment area. The handheld device also has a special cooling tip to prevent discomfort. You may experience a sensation similar to a rubber band snapping on your skin at the treatment site. Procedures can take just a few minutes, or may last up to an hour depending on your hair type and the size of the treatment area. What can I expect after laser hair removal treatment? Following your treatment, you can expect to resume your regular activities. Your provider may advise you to avoid taking a bath or using any other heat on the area until the next day. Side effects of the Icon™ laser treatment are minimal. You may experience minor swelling or redness that resolves on its own after several hours. Schedule a consultation online or by phone to learn more about permanent hair removal.